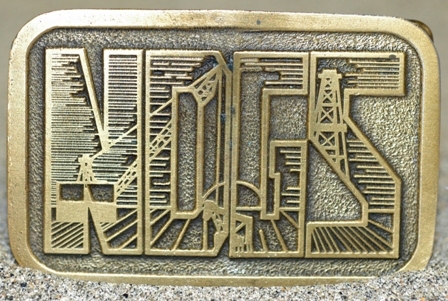 The ND Geological Society has published or co-published a large number of journals and symposium reports dealing with the geology of North Dakota and the Williston Basin. These publications are great references, and give a tremendous amount of background data about the Williston Basin. We use the PayPal secure shopping cart system. Each selection will be added to the shopping cart and you can use either your existing PayPal account or any major credit card for final payment. 11 special volumes (including guidebooks) describing regional geology. 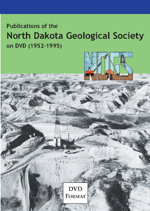 6 volumes, Williston Basin Symposia, hosted and published by NDGS. The price for this special collection is hundreds less than buying the print copies separately. Reservoir data for 29 pools, type logs for 27 pools, 2 cross sections across the length and breadth of the anticline, unitization for secondary recovery operations in 2 of the oldest and largest fields, charts, and an index map which summarize developments and growth in reserves. Twenty-four papers and three extended abstracts on various phases of Basin geology, geochemistry and geomorphology with special emphasis on Mississippian and Devonian subsurface geology. These are gorgeous!!! Think of them in terms of birthday gifts, Christmas gifts, etc. Tabulation of Williston Basin stratigraphy by Group and Formation. Twenty-eight significant papers on all phases of Williston Basin geology. Joint venture with Saskatchewan Geological Society. Williston Basin: Anatomy of a Cratonic Oil Province. A RMOGA publication: 28 papers on the Regional Tectonics, stratigraphic framework, stratigraphy and sedimentation, source rocks and oil chemistry, hydrology, and economic geology of the Williston Basin. 440 pages. Southern Manitoba and the Interlake Region. Upper Cretaceous and Tertiary Beds in Western North Dakota. Road log of the geology between Bismarck, North Dakota, and Deadwood, South Dakota, with side trips to selected areas of interest. Includes a paper on the geologic history of the Black Hills. Geologic study of all oil and gas fields in the State, structural maps, reservoir data, stratigraphic data, production figures, market, type logs, and reserve figures for each pool. This publication was prepared in conjunction with a Symposium held jointly with the Saskatchewan Geological Society. 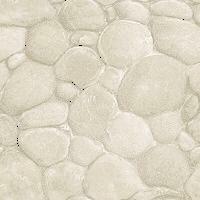 Can be ordered ONLY from the Saskatchewan Geological Society, PO Box 234, Regina, Saskatchewan, Canada S4P2Z6. 1986 Field Trip: Tertiary and Upper Cretaceous of South-Central and western North Dakota. Thirteen papers plus road log concerned with the surface geology, biochronology, stratigraphy and geomorphology of south-central and western North Dakota. 47 pages. 1987 Field Trip: Glacial Geology of Central North Dakota. Contains six papers dealing with glacial geology and a review of Pleistocene and early Holocene mammals. The road log includes maps, photos, and diagrams explaining some of the features seen on the 2-day trip. 101 pages. Tectonics and geophysics, regional sedimentation and stratigraphy field studies, oil sources, reserves and hydrodynamics, with several papers on the Lodgepole formation and play, 50 papers, 455 pages. Four Canadian and five U.S. authors. Hydrocarbon potential of Devonian and older rock in the Williston Basin. 142 pages text & illustrations.